This week, O is for Odontella sinensis otherwise known as the Chinese Diatom. 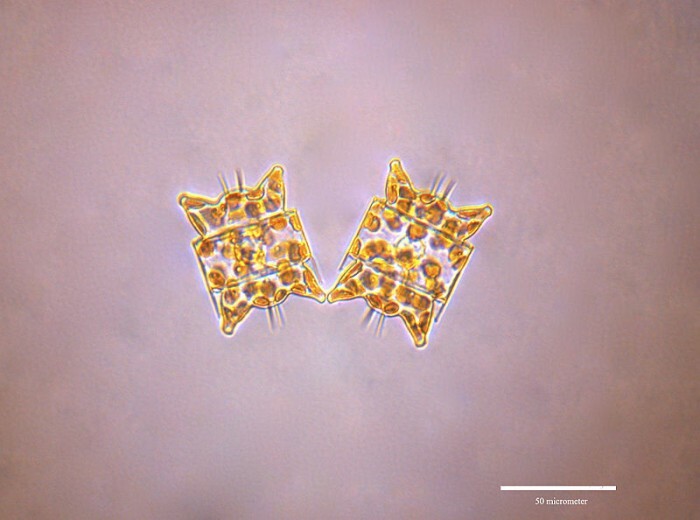 It is a large marine diatom of the family Eupoodiscaeae. Cells are found either in isolation or in colony where they are organized in straight lines or in a zigzag pattern in the pelagic zone or sometimes attached to other marine species. One of the species’ morphological characteristics is the elevation observed at each extremity of the cell which makes shaped like a mermaid’s purse (the egg sack of Chondrichthyes) but a lot smaller. When measured from tip to tip, O. sinensis cells vary between 80µm and 440µm in size. Another characteristic is that they are yellow/brown in colour, not green which is usually associated to phytoplankton species. For those of you not familiar with the marine environment, phytoplankton are a ‘drifting plant’ species. Phytoplankton an important component of the plankton community. Most phytoplankton are too small to be individually seen with the unaided eye. 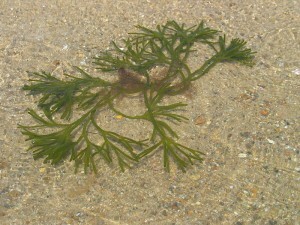 However, when present in high enough numbers, they may appear as a green discoloration of the water due to the presence of chlorophyll within their cells (although the actual colour may vary with the species of phytoplankton present due to varying levels of chlorophyll or the presence of accessory pigments). Like plants, phytoplankton photosynthesise and are the bottom level of the marine food chain. They are also important to fisheries and marine farming, due to this various species are sometimes cultured in large numbers. O. sinensis was first observed in European waters in 1889 and it moved to British waters by 1906. The spread of this species in Europe took less than 10 years, very quick considering its method of transportation is passive through the oceanic currents. One interesting point of origin is due to the confusion about its common name. It is named the Chinese Diatom because the Chinese Sea was the first place it was described in 1866. It has recently been found that the individuals found in UK and European waters were likely introduced from the Red Sea or the Indian Ocean. The method of introduction for O. sinensis is not known like in other species on this list, but it has been suggested (albeit somewhat cautiously) that it was brought here in the ballasts of ships. 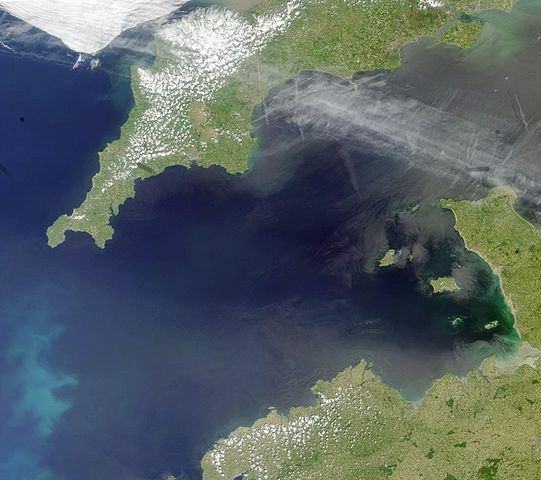 In Britain, O. sinensis is considered to be a major producer to the winter and spring phytoplankton make up in the English Channel. This species produces blooms and may cause disruption to other phytoplankton species when it proliferates. However, within the North Sea region, O. sinensis has not had any negative effects on the environment or the economy so far. The species has not been able to spread any further, this is rather due to the currents that will not support the diatom or limitations to the tolerance levels of the species. O. sinensis usually lives in waters with a temperature ranging between 2°C and 12°C and a salinity ranging between 27PSU and 35PSU. Nevertheless, this diatom may be able to tolerate temperatures from 1°C to 27°C and salinities from 2PSU to 35 PSU. Another limitation to the spread may be because O. sinensis frequently gets infected by the parasite Phagomyxa odontellae which alters the metabolism and the reproductive success of its host. P. odontellae has also been observed to make a host more susceptible to viruses, leading to high mortality in infected populations. Overall, this is a species that has assimilated well into our waters. Due to this it has become an important species to the primary production of areas where it is not native (such as the UK). As far as I am aware this is not a species which is actively removed and, due to its role in our marine environment, it may be detrimental to our marine food webs if it was eradicated. It has been in Britain for a long time, as the first (live) specimen was recorded in the Humber in 1864 but then died out in 1907. 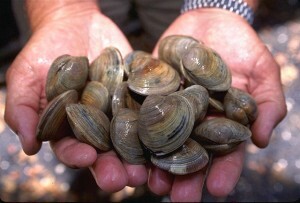 But that was not the end for the little neck clam in Britain. It is an invasive species of seaweed in the family Codiaceae and originally from Japan. 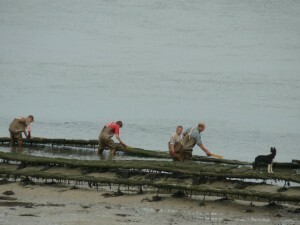 Because of this species of whelk, the UKs native oysters are in decline. As well as feeding on oysters, the mollusc eats mussels and barnacles as well. It is not known how either of these species were introduced in the UK. The main hypotheses for this are the same as most other species on the list; ballast transport or introduced by imported oysters.